The client is a wholly owned Indian subsidiary of one of the world’s largest automobiles conglomerates. The Indian subsidiary is one of the largest manufacturer and exporter of passenger cars in India. 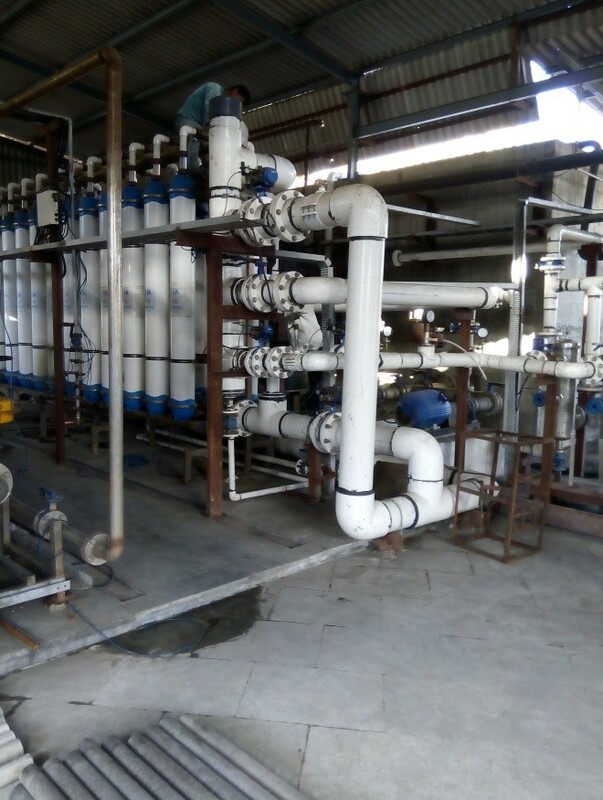 The client had set up a new plant and was looking to expand their ETP to treat the increased effluent. 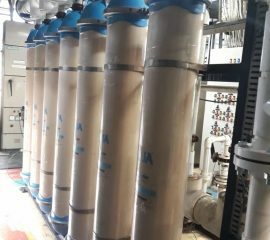 Ultrafiltration was required in tertiary treatment to provide consistent product water with low silt density index (SDI), to safeguard downstream Reverse Osmosis (RO) unit from colloidal fouling. The feed turbidity to Ultrafiltation (UF) unit varies from 5 NTU to 20 NTU. 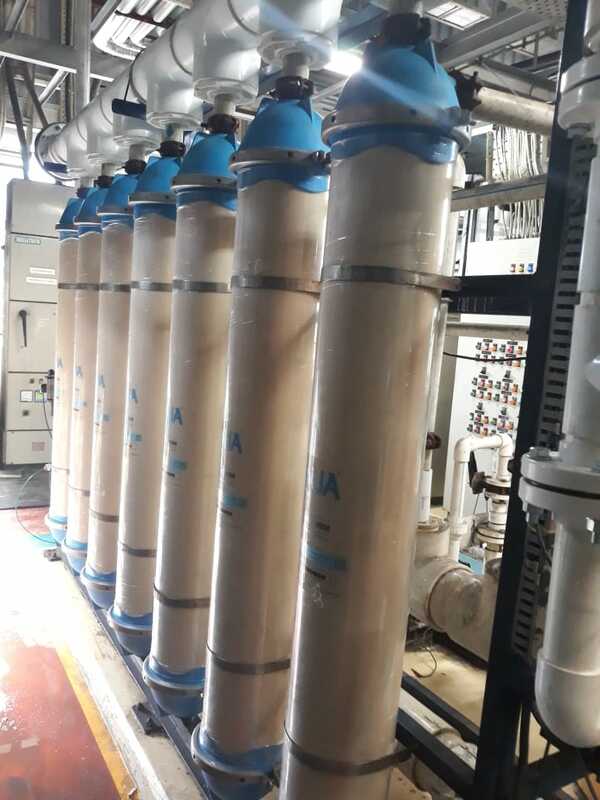 QUA’s Q-SEP Ultrafiltration modules successfully met the plant’s requirements due to their low fouling characteristics, uniform pore size distribution and large surface area which provides high operating efficiency and reliable operation. 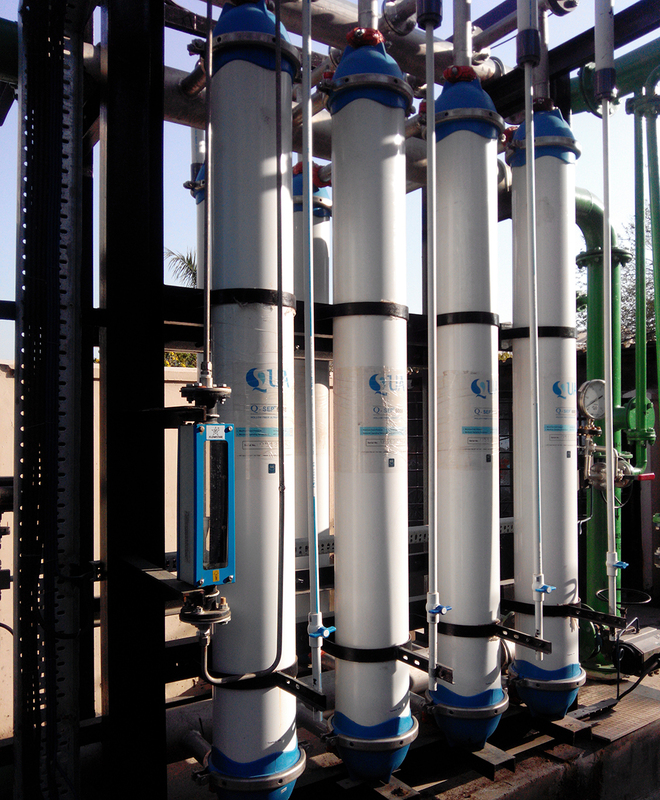 The Q-SEP system follows a pretreatment process comprising of a dual media filter followed by a bag filter, and precedes a reverse osmosis treatment system for tertiary treatment. 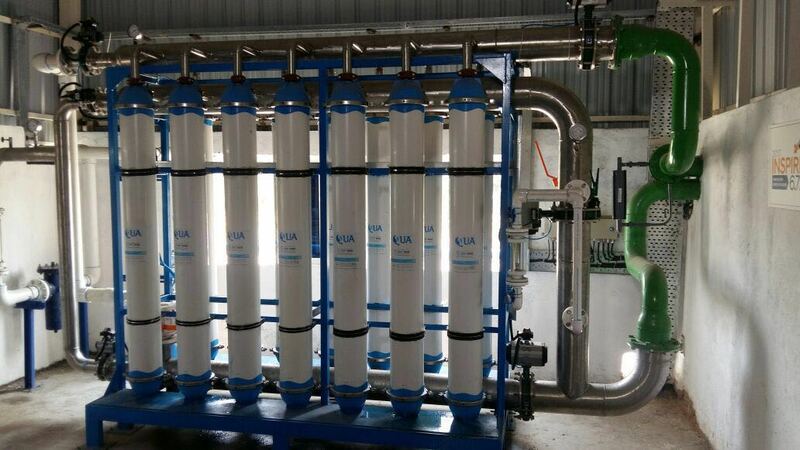 The automobile plant effluent passes through a primary treatment followed by secondary treatment which is a biological process involving aeration. This is followed by settling, clarification and disinfection. 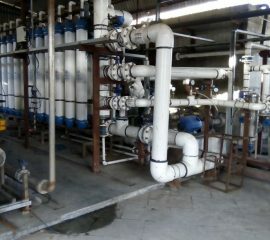 The disinfected water then passes through the DMF before being taken into the UF system. Q-SEP UF skid comprises of 14 modules of Q-SEP 6008, there are of 2 parallel rows with 7 Q-SEP modules each. 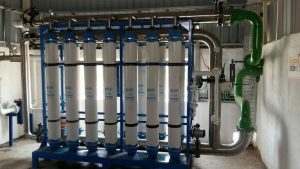 The system is designed to operate in both dead-end and cross-flow mode, depending on the feed turbidity variation. The BOD value at the inlet of UF is between 20 – 40 ppm and COD at 150 – 200 ppm. The Q-SEP UF system was commissioned in February 2017, and has been in successful operation for more than a year now. 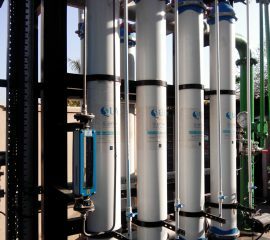 The system is able to provide a consistent permeate output of 45m3/hr. The Trans-membrane pressure (TMP) has been consistently below 1 bar. Chemical Enhanced Backwash (CEB) is done once a day. The output SDI is consistently below 3 since the startup.